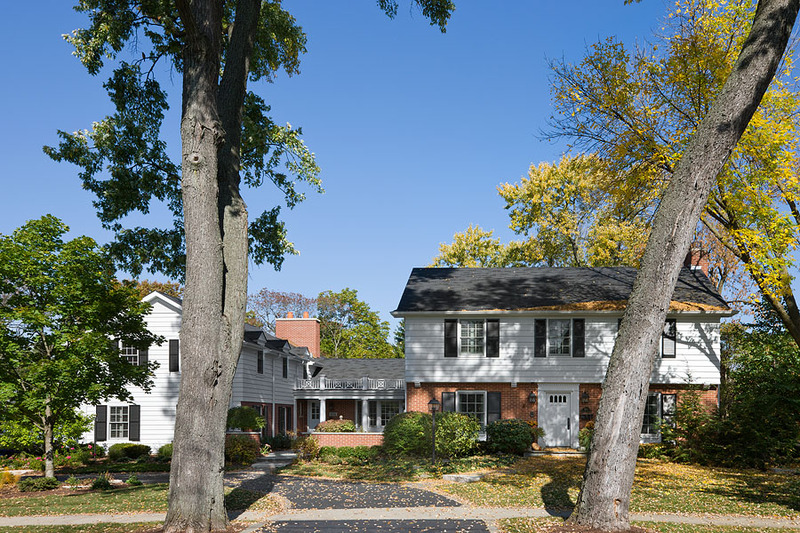 The Murphys were living in the small home that once belonged to Beth Murphy’s parents, when they consulted Marsha to design and direct their remodel, complete with a brand new addition. 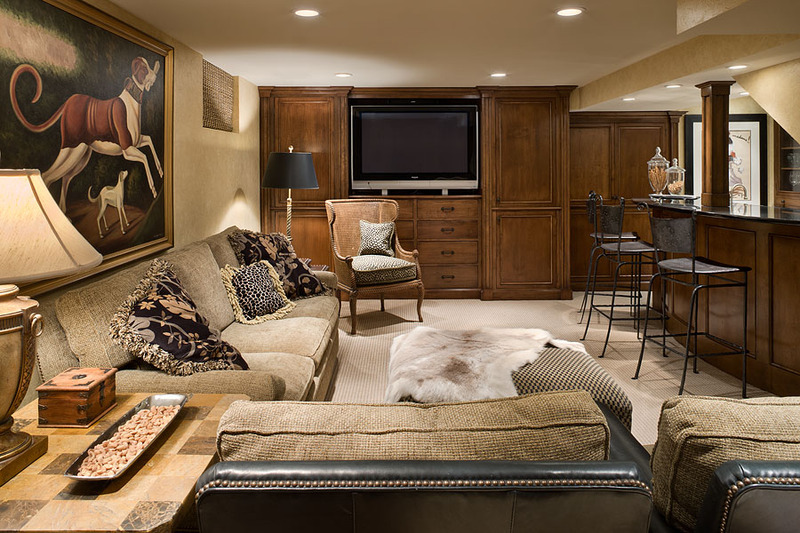 With years of experience under her belt, Marsha was able to expertly guide them through what is normally an overwhelming process of material selections, color choices and communicating with a contractor and tradesmen. 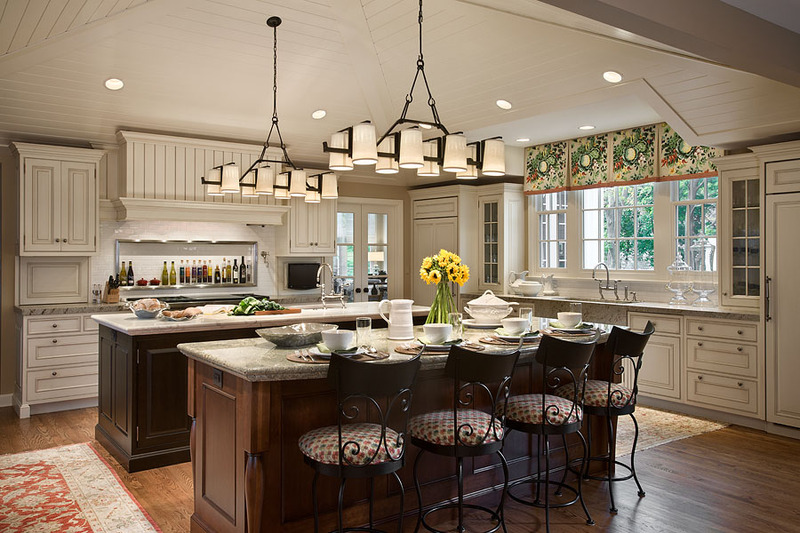 Their adventurous personalities and love of color allowed her a vibrant palette from which to design window treatments and upholstery fabrics and provided the opportunity for her to design stunning custom light fixtures for the kitchen. 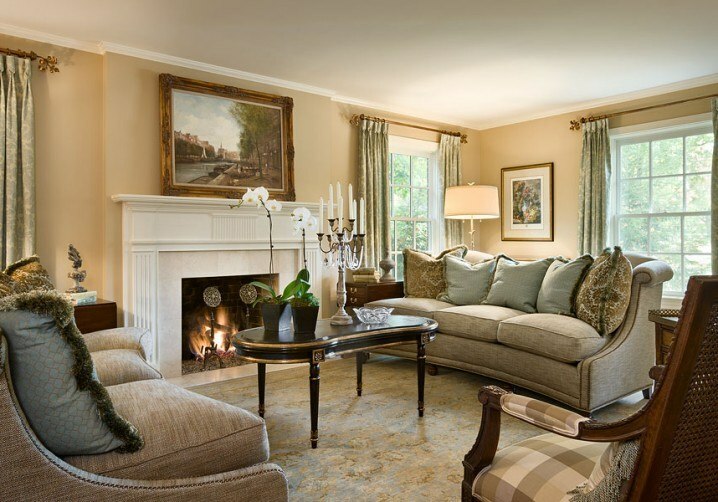 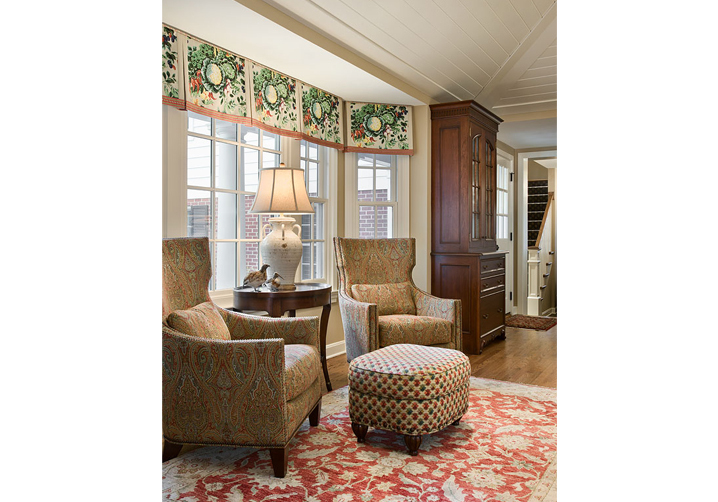 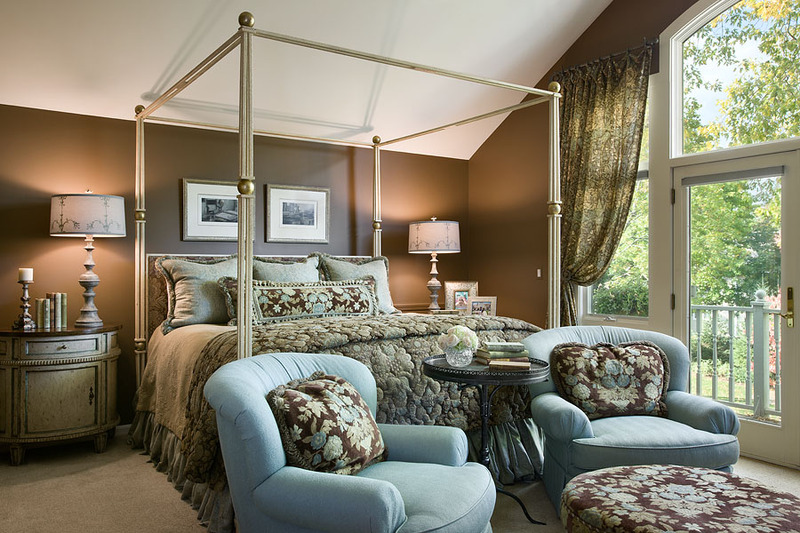 Maintaining a theme of family-friendly livable elegance, Marsha worked in different color schemes in various rooms. 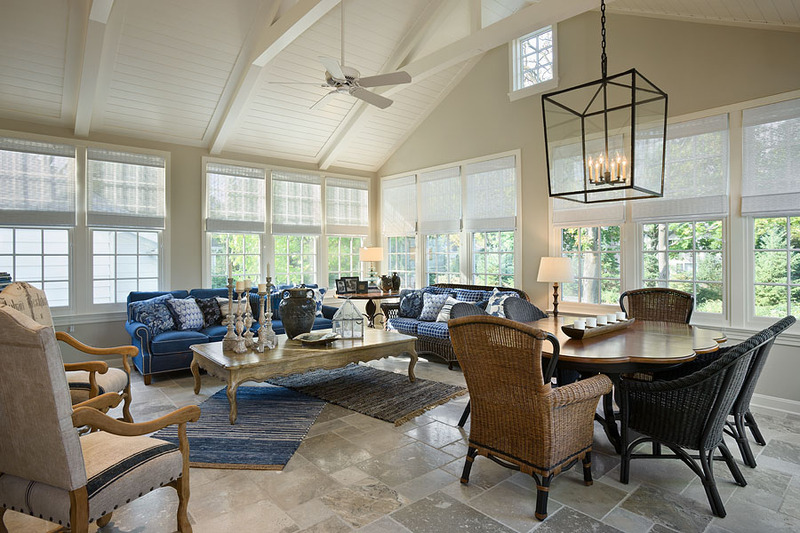 From serene French blue and cream in the living and dining rooms, to chocolate brown, blue and cream in the master bedroom and summery blues and whites in the sunroom. 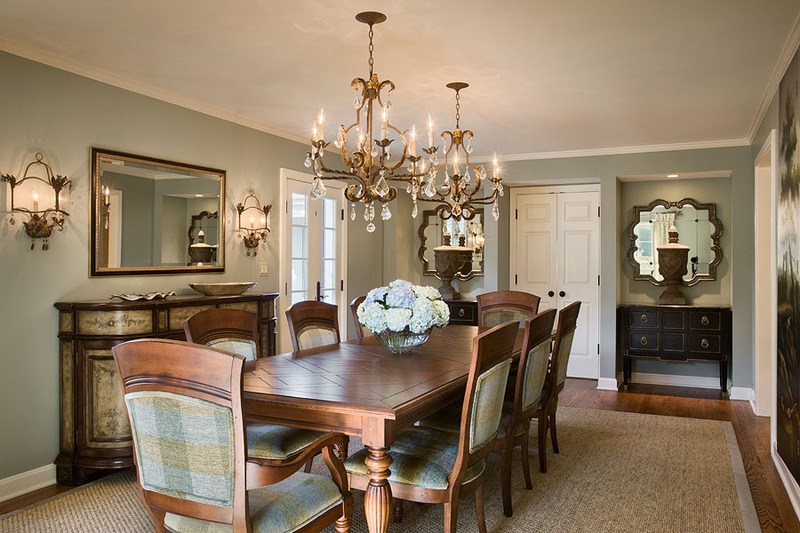 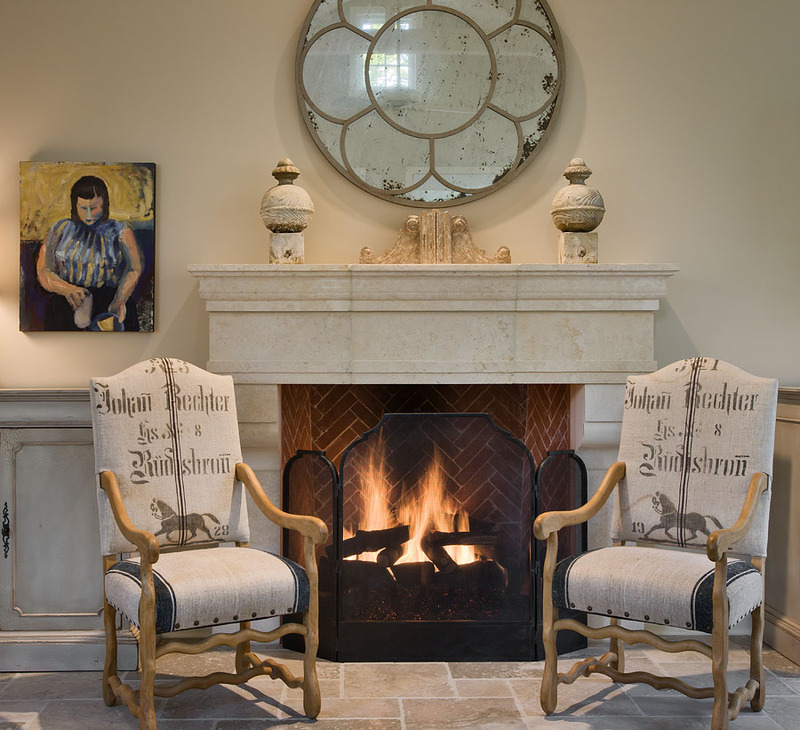 Marsha’s skilled guidance enabled the Murphy family to achieve not only their goal of a more spacious home, but one of subtle, family-centered elegance.